Home › mythology › The Indian mythology and some ramblings ! The Indian mythology and some ramblings ! There is this character in Indian mythology — Purana, named Anjana, — not Anjelina. One day, she was taking a stroll near a pond — presumably naked, when the breeze hit her body. She went home pregnant. Gave birth to a powerful monkey kid. 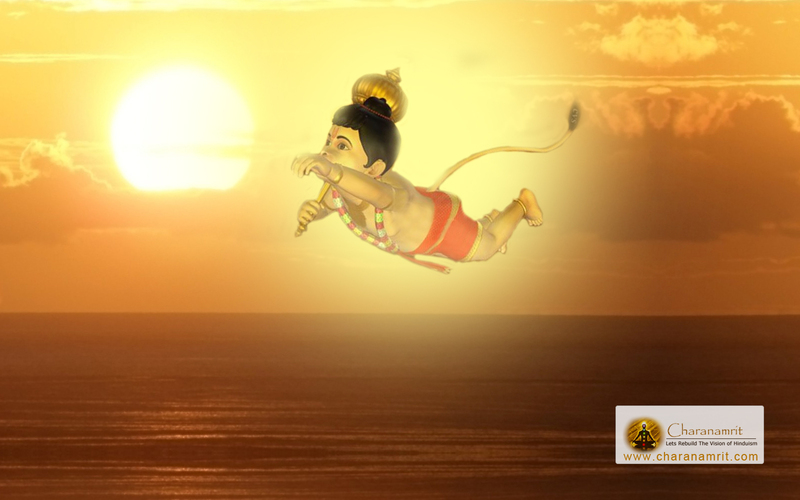 The kid was so powerful it started flying like a missile towards Sun, thinking it was something to eat. When you were in your adolescent — Oh Monkey God, you devoured Sun, wondering what sort of thing it is. Of-course it violates Newton’s laws in doing so. Actually all of such mythological concepts violates laws of nature. The laws of nature, are not designed, to contravene religious concepts. All of religion and its concepts are designed as a counter-thesis to the principles of nature. It’s not the other way round. The triumph of science is, its successful, despite of religion and not in-spite of it. But, one reason science is cripplingly feeble in India is because religion is pervasive like an epidemic. A small analogy is, the teacher teaches you quantum mechanics and gives you a lecture on Hawking’s Universe and then goes to temple and worships God and pleads not guilty. I see hardly much social upheaval against it. I see the Indian mind as futile, not receptive of new concepts pretty easily and making a mockery of the pristine nature of science. We have been conditioned to grow, like this. I also see excellent, smart and unconventional kind. But the social structure is quite conservative. I believe, the platforms on which we often discuss science, eg a school or a college premises or a media show, are often grossly unprepared. We need to discuss more on science, at least on internet, but look what we are doing. India is quite well connected to the outside advanced world, but not internally. What is our responsibility for science? To leave our nation abjectly poor? I don’t care who created this. We did not create it, may be our immediate forefathers did not. But someone down the line has to recognize the malice. Without that we are failed as a nation.